With a variety of delicious cuisines on offer, the newly launched food court in the Candor TechSpace campus in Sector 135, Noida, is slowly emerging as a popular go-to food option for the occupiers and employees working in the premises. Until a few years ago, canteens or similar facilities located within offices that would provide food to employees were a rarity. However, things have steadily undergone a transformation over the years with many companies opening cafeterias and canteens for the benefit of their staff. 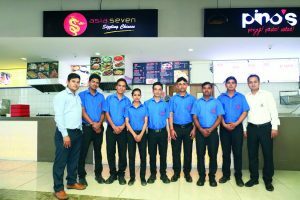 The campus of Candor TechSpace in Sector 135, Noida, has also jumped on this bandwagon by launching a food court recently under the name ‘Savour’. 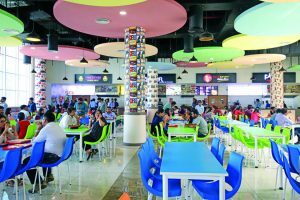 The newly launched food court is run by Lite Bite Foods which operates 208 renowned F&B outlets in India and across the globe. 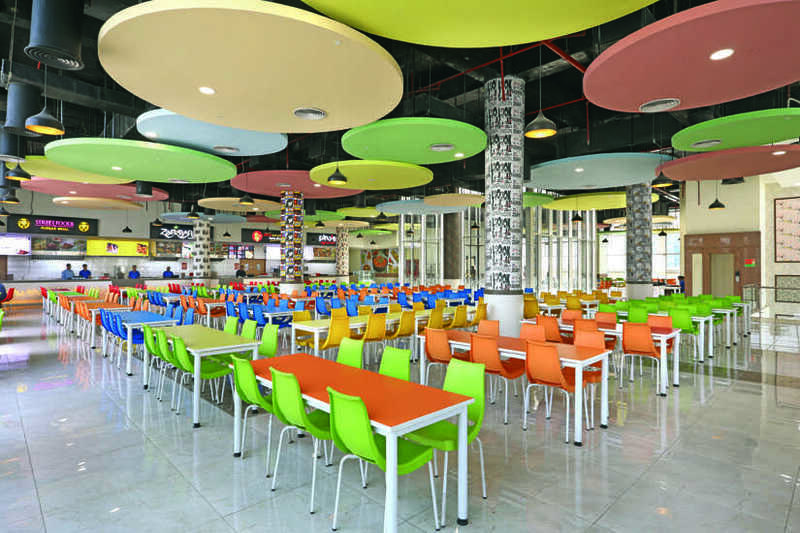 Located within the new amenity block in the campus, the food court offers an array of delicious dishes from Lite Bite Foods’ iconic restaurants at reasonable prices, that too without any compromise on quality. The pleasing ambience, friendly staff and vibrant interiors here add to the overall dining experience. If there one thing that this spacious food court is more than ideal for, it is you and your motley crew of friends getting together for parties or simply to have fun. What’s more, with the rooftop sit-out being operational soon, there will be many opportunities for you to feast on a variety of cuisines while lounging in the sunshine. 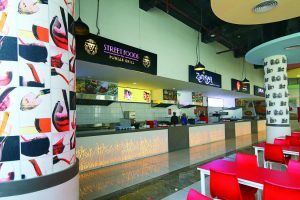 Apart from catering to the basic need of food, the food court has also contributed towards reducing the tension and burden of many employees working within the premises, since they no longer have to worry about cooking their breakfast and lunch on workdays. Sitting down to meals together in the food court has also provided them the opportunity to engage with each other outside the office environment. So which are the restaurants functioning within the food court at Candor’s campus in Noida, and what foods do they serve? Read on to know more. This vividly colourful Asian restaurant is named so because it serves cuisines from seven countries across the continent: Burma, China, Indonesia, Japan, Korea, Thailand and Vietnam. The chefs here source ingredients from each of these regions—in addition to local and seasonal produce—to create delicious fare. Dumplings, noodles, wok-fried seafood and juicy, spiced meat are popular choices on the menu. If there is one restaurant that is making an effort to showcase traditional home-style South Indian food in the Candor TechSpace campus in Noida, that is Zambar. The restaurant has on offer a wide range of delicious fare from southern India’s legendary spice coast, right from popular delicacies such as idlis, dosas and vadas to signature items like seafood, stews and biryanis. Classic Indian food is what you can expect at Street Foods by Punjab Grill. This is the perfect chance to indulge in the much-talked-about and flavourful street food of this country. On the menu are succulent kebabs, aromatic dum biryanis, and rich desserts like apple phirni. A highlight here is the ‘kulhad wali chai’ or tea that is served steaming hot in a small clay pot. For a truly authentic Italian experience, Pino’s is the restaurant to try food from. Their Sicilian-style hand-tossed and deep-dish pizzas are scrumptious, especially considering that they are freshly made right in front of your eyes. The restaurant also offers well-seasoned pastas and a salad bar. The food is served in a wholesome manner with an essence of Italian country-style cooking. If you love creamy, ice creams and shakes, you will find them all at Dairy Brook, a dessert bar that could be considered as ‘playground for adults’. The secret to the creaminess of the offerings here lies in the natural ingredients, and lack of preservatives and artificial flavours. Yes, the outlet offers a playful mash-up of ice creams and shakes—all made from pure milk and fruits. So, the next time you crave delicious, hygienic and quality food while at work in Candor’s campus in Sector 135, Noida, head to ‘Savour’, the food court, right away!